Last week, the butchers at work ground, stuffed, and linked half a ton of pork into sausages for the King Wiener contest at Bloktoberfest. It was a veritable pig-apalooza, which seems fitting since October is National Pork Month. 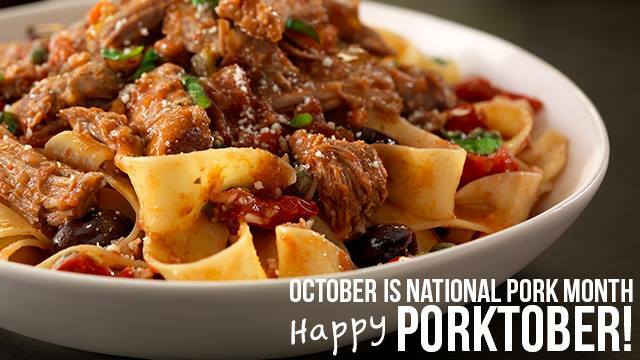 In fact, we should all be celebrating Porktoberfest! 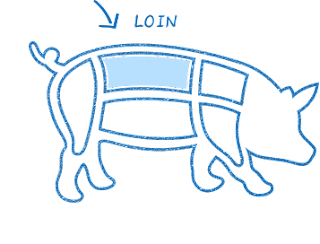 Pork has always been a family favorite. My mother is from Okinawa, where pork is a staple protein. She prefers the stewed, braised pork dishes, but the thin-pounded crispy tonkatsu cutlet – similar to the German schnitzel – still tops my last meal wishlist. On the other side of the family, my Alabaman grandmother taught me the ways of spicy vinegar-sauced pulled pork BBQ when I was little. Add in Chinese char siu, European charcuterie, and Peter Brady's pork chops and applesauce and it's clear that pork holds a special place on our family table. What I didn't grow up with, oddly, is the simple and delicious pork loin. This incredibly versatile and affordable cut is very lean and can be used for just about anything. Pork tenderloin is tender and mild in flavor, lending itself well to marinades and sauces. Even better, it can be cooked quickly – ready in just about 20 minutes on the grill and just a bit longer roasted in the oven. It makes a satisfying and nutritious weeknight supper without too much fuss. Kansas Pork has worked with Kansas Corn, and the National Pork Board to offer some amazing sale prices on pork at Costco in Wichita to celebrate Porktober! During the week of October 16-22, Wichita Costco shoppers will enjoy a instant redeemable coupon (IRC) good for $2.50 off per package of pork. With regular prices already very competitive on the twin packs of pork tenderloins, this is a remarkable value. If you have a Costco membership, it's time to stock up your freezer! Costco Wichita will feature pork tenderloin sampling on October 21st. For other recipe ideas, be sure to check Pork Be Inspired and EatPork.org. Disclaimer: I have been lucky enough to work with the kind folks at Kansas Pork in the past and I probably will in the future, although I declined to be compensated for this post.